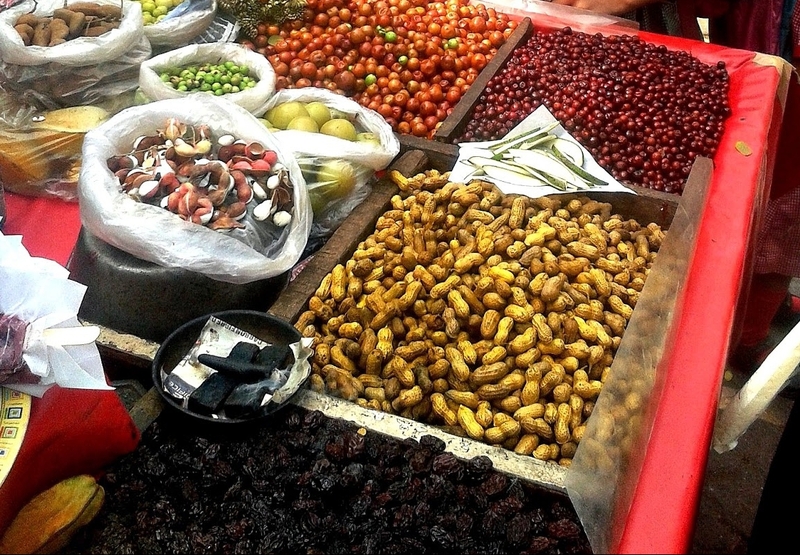 Do you remember, that old lady who used to sell candies, salted tamarind & salted ber(/Green/red/brown tangy & sour tiny fruits )in front of our school gate. When today morning I gave canteen money to my daughter, I thought of her. That old lady & her dusty rug on which she stocked up all things separately, below that rug she secured her precious coins, earthen pot in which she kept salted ber, piles of small papers for distributing & broken umbrella which she was holding in her wrinkled hand. In our school she was the only canteen for us. In lunch break, in a such a big crowd , buying something from her was like winning big hurdle race😂. With only 25 paisa -2Rs we could get so many things from her like Ber ,Borkut candy(stick coated with powder of ber)small packets of salted tamarind paste & fryums. That too we always shared with each other. In school days we never cared about 🤗 which water that lady was using? , were that berries washed or not? We never carried water bottle to school , directly drinking water from school tap. Sharing lunch box with all other girls & eating street food was very much common. Every Saturday was filled with adventure. We girls had decided that on each Saturday we would go to friends house & explore nearby farms, fields & mountains. We had so much fun while walking side by side, cycling(single/double seat) on that bumpy road, crossing that rail track with cycles & climbing mountains with holding hands in hands. handful of fresh ber , tamarind & sugarcane. Plucking colourful flowers & making rangolis with it, swinging to parambya (aerial roots) of wadache zad (banyan tree) & stories of ghosts in that secluded farm was always thrilling experience. In the dark shades of trees, when we were fully tired, playing antakshari(Game of songs mostly played in India)was so cheerful . Even with bruised knees, bleeding toes, & broken chappals (shoes) we always had lucky escape from owner/watchman. How could I forget, one day we had entered one private area which was famous for picnic spot & lush green trees. When we were about to leave watchman saw us, we ran as fast as we could towards main gate. We climbed one by one helping each other but one of my friend was stuck there finally she managed to climb that gate, when she was getting down, door opened suddenly. Ohh!….. Door was opened!🤣🤣 We had laughed so hard on our stupidity, that our stomach was hurting , joyful tears rolling down from eyes, that we couldn’t pick up our bags, couldn’t open that cycle locks, so finally we picked up locked cycles in one hand, kept our bags on carriage & ran . We saw fatty tired watchman blabbering about us. 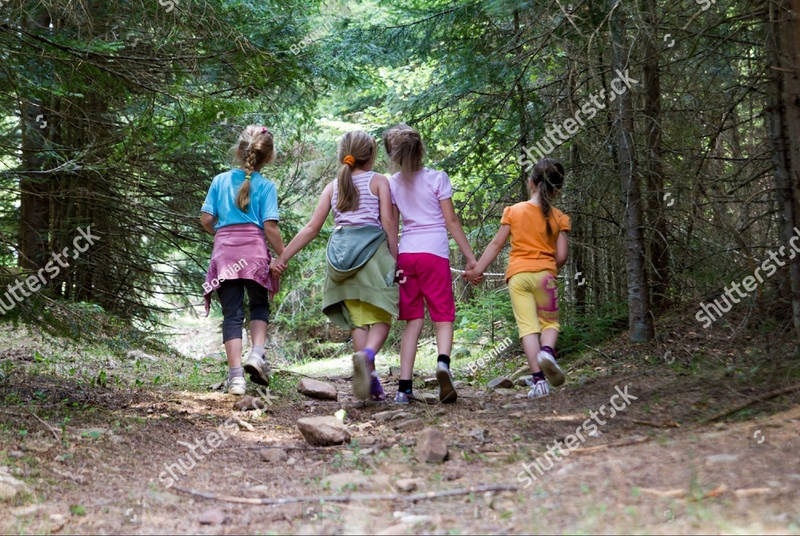 We were like toggling wheel, running , laughing more & more on every step , balancing cycle & bags & tightly holding that little things that had stolen from the park. That wired fencing, thorny bushes & spiny stems couldn’t stop us from coming there again & again . Distances & weather was never an excuse for meeting each other. Doing nothing was the best time we had spent together. Now after so many years of 15-20yrs , Why are we so apart? What are those things which are holding us back? Next For your eyes only…. It made me emotional and what not! Hi MVS, praise coming from you always made my day. I’m not an expert in writing , sometimes it takes 1-2 days to finish post. But support & appreciation from you & other fellow bloggers encourages me to write more. Thanks a lot for being so sweet. Thanks dear for lovely words. Beautiful. It made me a bit emotional. Loved the poem too. Thanks..yeah even I felt emotional while writing this. Really those were the golden days of our life . Thanks Mona..Happy that you could relate to this. Thanks Radhika.. So glad that it refreshed your childhood memories. Thanks a lot Bhavana for writing our special memories on your page. My daughter liked it too. I have shared all these school time memories with my daughter. It’s my pleasure dear…Thanks to you too Sonu for taking time out to read my posts. Yes school memories are very special & close to our hearts. We were like free spirits,💃💕wandering without any restrictions. Nostalgic bhavna… really really miss those days…. nicely put up in words.. Appreciate your kind words. Really we all miss those days. Gorgeous header photo. Perfect for fall. I’m always improving my blog photography. You followed my old blog Reflections. Please follow me over to my current blog http://mostlyblogging.com. Party and blogging tips articles await you. See you at Mostly Blogging. Thanks Janice for lovely words. Sure I’ll check it out your new blog link. Followed , Happy to connect with you. Excited to hear, but I did not yet receive a notification. Did you activate the link in your email, I hope? Yes I did, Hope you have received notification. Hi! I only received a notification that you followed Reflections. I still did not receive the notification that you followed http://mostlyblogging.com. Did you activate the link in the email? If you comment at mostlyblogging.com, I will be able to see your email and I can help you sign up if needed. Going to sleep it’s about 11 PM here on a work night. I will check in the morning. Good night dear I already received an email that I subscribed to site “Mostly blogging”. Any one who reads this must go back to those days. Such a lovely post, made me nostalgic though. No one sold anything so close to my schools in Iowa, but when I was teaching in China I bought all sorts of street food from stalls there for the college students, especially “tea eggs,” hard boiled in a mixture of green tea and soy sauce. Beautiful post Bhavana…….reminded of my school days here in Calcutta, and particularly during our tiffin breaks when it was all hell break loose…..:):)…….nice pics too…. Thanks Anindya for lovely words. Glad this post refreshed your childhood memories. Yes Ravi that’s is true. Those were the days filled with sweet unforgettable moments. Wherever we go , we always miss those golden days. Aap to mujhe sabdo rupee ungali se pakad kar bachpan ki sair karwa layi. I vividly remember buying Chole kulche from a hawker after our school bell rang. He postioned hi push cart right in front of our school buses, probably he never went to B school but he knew where to position his push Cart to entice maximum number of children. We all started salivating when he mixed chilli, garlic, garam masala and other condiments in chole and the aroma of freshly prepared Chole was too hard to resist. I pleaded with my father every morning to give me 2 rupees so that I can buy those tempting and delicious chole kulche. What days. Thanks for bringing back those memories. Please follow my blog if you want to read my posts. Chole kulche so mouth watering !😋 The way you expressed even I’m craving for it now , so irresistible. Thanks Siddhartha for sharing such a lovely memory with us. I checked your blog already & liked it too , You write very interesting & thoughtful post. But I couldn’t find any comment box. It is there at the end of the post. Please follow the blog if you like the posts. Nostalgia!!!! School days ki yaad aa gayi…it was same for me! ‘With only 25 paisa -2Rs we could get so many things ‘… isn’t it!!! And now it looks like a dream only!! Beautiful post!! Yes …agree with you …In exchange of that tiny coins we got so many precious moments that we are still holding in our hearts. Oh yes!!! The beautiful precious memories!! Priceless!!! …and we were happy with the pennies we got. buying pickled bor was the best. Still have that childhood love for it and make my own. If only our children could be that carefree and “safe” as we were. Welcome Kavita to my blog. Totally agree with you that few coins were precious treasures for us. We cherished thoes childhood memories. Yes dear world has changed a lot. You brought back a lot of memories Bhavana with this post of yours. Yes we did not care whether the guavas or raw mangoes were cleaned, the water in which the groundnuts were boiled. I nominated you for the Lovely Blog award. Congratulations!!! Yes Smitha, so agree with you. That time we were like carefree & healthy souls, never worried about these small small things.😄 Thanks dear for being so kind & nominating me for the Lovely Blog Award. I’m honored. Sure I’ll check it out.